At age ten, Riley Lambert watched helplessly as her sister was abducted from her bedroom. Fifteen years later, she’s channeled the pain of her past into a career as an FBI profiler. Riley devotes her life to bringing violent criminals to justice…and secretly uses government resources to search for her sister, who was never found. When Riley gets a call from the only man who’s ever swept her off her feet with a killer two-step and dangerous smile—ex-Navy SEAL Thayne Blackwood of Singing River, Wyoming—it stirs up dark memories. Thayne’s sister, Cheyenne, has been kidnapped. There are no leads, and the only witness is the victim’s Alzheimer’s-afflicted grandmother. Desperate to find Cheyenne, Thayne needs Riley’s expertise. With time running short, they delve into dangerous small-town secrets while fighting against an increasingly ruthless adversary. But when her past and his present collide in a shocking revelation, can they overcome the secrets that have kept them apart? Damn, this book was so good. When I first opened it, I wasn't to sure what the story was about, I didn't really read the blurb. It was a cover buy, and also a genre buy too. I am 100% glad I started listening to this one. My feelings were so invested with this phenomenal story, I was all over the place. Our Nan, is also suffers from Alzheimer's and to hear about the characters Nan going through the same thing was excruciating hard to hear I wept at parts because the disease is so awful. Thayne and his family were everything. Thayne is on leave from the SEALS and is acting as a Deputy. I enjoyed Riley she appears to be fearless, strong and she is this amazing FBI profiler who is really good at her job. But underneath her walls she has up, Riley is very lonely vulnerable lady, she has never forgiven herself when her sister was stolen right before her one late night almost 15 years ago. Thayne, and Riley meet almost a year ago and they have had this long distance relationship. That is how they meet, when she discovered a lead that took her to Singing River. You see she has been doing her best to discover what happened to her sister, and made a promise to herself that she will bring her sister home dead or alive. Now she is being forced to take a break from her job, and thats when Thayne rings her with news that his own sister has been kidnapped, and asks her for help. The Small town of Singing River have many secrets, and they are going to be brought to light in this story. 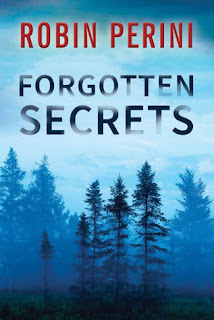 Forgotten Secrets, is a mystery, crime romance with heart pounding action that I am here for. The author handles so many difficult topics professionally and heart warming. This story is packed with a lot of heart and a lot of action. I look forward to book 2, to see where this new series will take us. I cant wait to return to this town, the characters were all so lovable and there is something about small town suspense novels that I really enjoy. The Kidnapper in the story was a really interesting and unique spin on things, I was really glad it was not an easy one to figure out, the plot is that over the course of 15 years there are been a plethora of missing children taken from there family's. I loved the twist and turns the author took us on. It was creepy, fast paced.